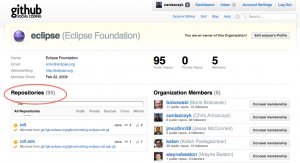 I recently refreshed the eclipse.org repositories mirrored on GitHub. I’m pleased to report that we are up to 95 repositories mirrored on GitHub, up from 70 repositories a couple months ago. For example, projects like the C/C++ Development Tools (CDT) are completely mirrored on GitHub now so you can watch them (the repositories are synced about every 10 minutes so beware of the delay). 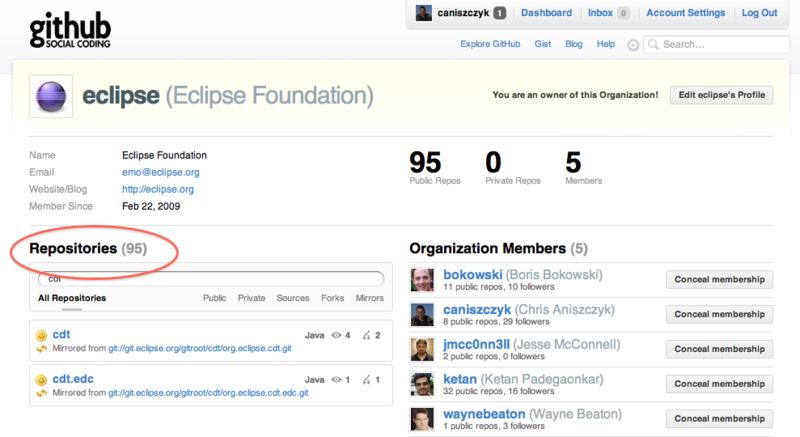 I hope that by the end of this year, we have the majority of eclipse.org projects mirrored! Enjoy!